We at “CuisineHOUzz Freshness 'Fresh(Active) Kefir Grains, Delight Your Recipes with kefir yogurt or Kefir water drink for Healthy Life. Pre-Order now for the amazing Discount on the Kefir Grains Bulk Package. Hi, if I want to buy KEFIR GRAINS, from you, how do I contact you , I live in Trichy , pls give me your address and phone number. We at “CuisineHOUzz strongly recommend health conscious consumers to procure 'Fresh(Active) live Kefir Grains from "The Biocareshop " Malaysia. The milk and water kefir grains are available for online buying through their website.Please use their online form to submit your query, purchase order etc. 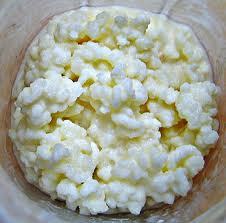 The kefir grains we used in our recipes were purchased from The Biocareshop. Iced Milo is the popular drink all over the world, especially Malaysian’s favourite chocolate energy drink. Let’s see how to make this simple, but delicious drink at home. cheapest web design services in Malaysia.